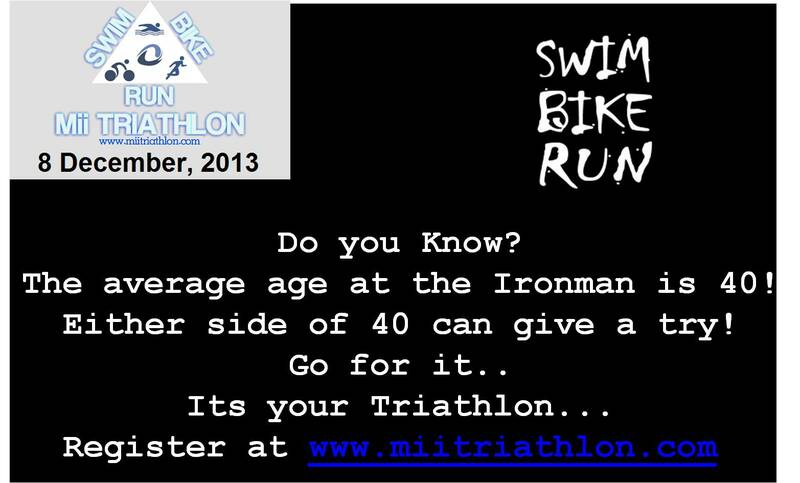 Triathlon : Does the age really matter ? It surprised me when I was reading about the Triathletes; they say average age of a Triathlete who participates for an Ironman race is 40! Can you believe this! What does it mean; if translated otherwise – it means – As one gets older it makes us more tough. It’s all Mental nothing Physical about it! So don’t allow the thought of aging set in your mind; feel younger and go for it!! Whichever side of Forty you are; We all can do it; Go for it.